Friday night, a young man named Eliot Rodger killed 7 people and injured 7 more in the Isla Vista community near the University of California, Santa Barbara. Rodger’s motive? 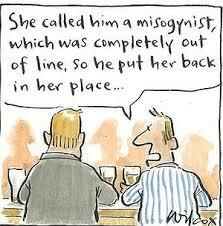 To seek revenge on women, who he felt had sexually rejected him. The blogosphere is on fire with posts about this tragedy and some of them are saying misogyny is to blame. Obviously, the words of a seriously disturbed young man. Are these authors right? 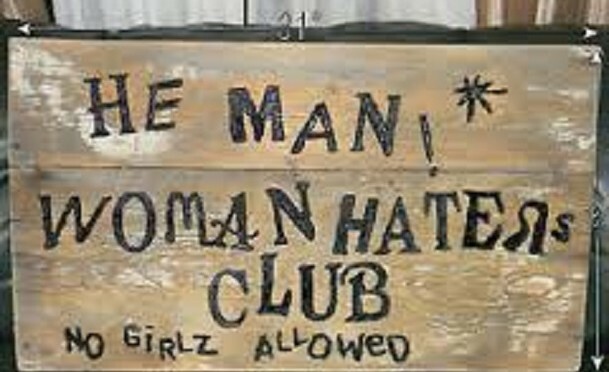 Is this just another case of the He-man Woman Haters Club on steroids? Or is it a little more nuanced than that? Let’s get one thing straight: Eliot Rodger did what he did because he was a deranged young man who actively resisted any help for his condition and, instead, sought aid on certain websites dedicated to “men’s rights” (look for more on this in a later article). Did society make him kill those people? No, he did it on his own with malice aforethought. Frankly, the idea that Rodger’s actions are solely the fault of a misogynistic society is troubling because it negates his responsibility for those actions and gives the next disturbed individual a free pass when they decide that their best option for dealing with their personal demons is violence. However, while Rodger bears the ultimate responsibility for his actions, he is not alone. The immature little boys who run these “men’s rights” (what a sick joke that phrase is) websites, the NRA and the politicians in their pocket and churches/pastors/organizations who promote the view of women as domestic servants and breeding stock are also accountable for what happened Friday night. Make no mistake, until we deal with these issues, this will happen again.